Beautiful beach home on the lovely Ambersand Beach! Amazing ocean and riverfront views to enjoy both sunrise and sunset. Close to nature parks, preserves, and historic jungle trail. The Beach is a very active for Sea turtle nesting. Property located 2 miles from the Sebastian Inlet which is known for fishing and surfing. There is a sidewalk on west side of A1A to accommodate bike riding. Home offers 2 living areas. First floor has 1 bedroom with double bunks and 1 bath, living area and kitchenette. Second floor has 1 full kitchen, 1 full bath, laundry room, and living area. Third floor has 2 bedrooms with queen beds and a loft in each each with full beds and 1 full bath. This home has flexibility which guests can rent either all 3 floors, top two, or first floor. With rental of full property. Yes with freezer. French doors. Stainless. Electric range and stove. Stainless. Yes. Mr. Coffee maker and stovetop espresso maker. Yes silverware and kitchen utensils. Dishwasher, range and oven, refrigerator and freezer, microwave. 3 Counter stools & 4 TV Trays available in 2nd floor. Dining table for 4 in 1st floor. Our group of 4 adults and 1 child had a wonderful stay at Harvey’s home! Everything was clean and comfortable and the views cannot be beat. Heartily recommend staying here. Beautiful home in a perfect, peaceful location! Wake up to the sunrise on this beachfront home, and watch the sunset on the dock. Best of both worlds! Everything you need to be comfortable is here- clean, up-to-date, and amazing views! The owner is incredible, kind, and available for anything you may need to make your stay comfortable. FIVE STARS! Thank you! There was everything I could possibly need at the tip of my fingers so I didn't have to run over to any store for anything like cooking utensils, janitorial supplies, electronics and appliances. Beautiful, clean, secluded beach front property. This home is one of the best that Sebastian/Vero Beach has to offer. Beautiful and very well kept, Harvey was so helpful and easy to get a hold of. We had 13 people staying and we never felt crowed or congested. 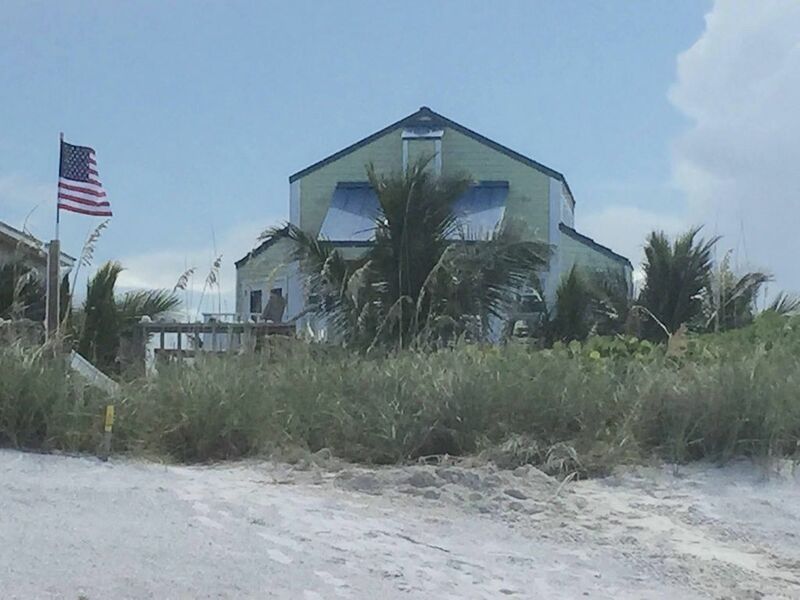 Our family loved our week at this beach house. We had the pleasure of meeting the owners Harvey and Mercy when we checked in. They were a great help with tips about the house and the area. The house was beautifully updated and decorated and also very clean. We used the top 2 floors and the views were fantastic. We had miles of beach to ourselves and the Indian River right across the street. We used the home's kayaks every afternoon before the sunset and fished off the dock. There is also a safe bike trail along A1A across from the house. The area attractions and shopping just a car ride away. We would return because the home and area provided everything we needed for a relaxing vacation. If you are looking for a quiet, immaculate, well designed beach house on a commercially undeveloped beach with outstanding owners, then you are looking at the correct listing. Harvey and Mercy are the most gracious homeowners that we have ever encountered in our years of renting beach homes. From start to finish, they make sure that everything about your stay runs seamlessly. The care and concern that Harvey and Mercy exhibit about your rental experience with their home makes it seem as if you are long time friends borrowing their place. As far as the house goes, it is a perfect beach house. There is no wasted space. Every window , deck and door provide a water view of either the Atlantic or the Inter Coastal. There are no large developments or public beaches nearby so the beach is truly private. We have already made plans to return for our next family Spring Break Trip.